Nice apartment with good facilities. Wi fi excellent and a decent choice of English tv channels. The terrace was well furnished but at the time we visited the sun went off it at around 11 a.m. Maybe as summer kicks in the sun will stay on it longer. The beds were comfy but would have been happy if there were more pillows. We always sleep on two at home. Marc quickly addressed the issue of a faulty kettle. The location is excellent close to all amenities. A new find for us this time was the Salon of Varieties theatre were I saw an excellent production of Blood Brothers a definite must if we visit again. All in all a pleasant stay. 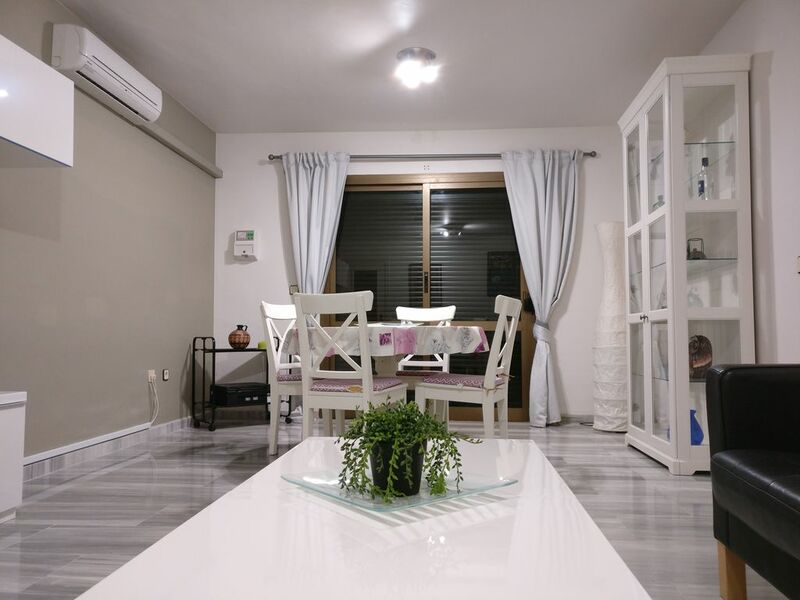 The property was close to the railway and bus stations, it was fully equipped and extremely central for our visit to Fuengirola. At night it was quite, and, we spent a lot of our time on the balcony which was large. I would certainly recommend this apartment. Thanks Mrs Louise Housset . The apartment location is excellent, in the centre of amenities and close to the beach. The apartment is very spacious and well equipped with everything you would require for a holiday. No hesitation in recommending Las Rampas! Aangenaam kort verblijf gehad in een appartement dat had wat nodig was om je verblijf leuk te maken en wat je echt proper vindt als je aankomt. En midden in centrum zodat alles binnen wandelafstand bereikbaar is. Het zeezicht heb je dan niet, maar dan ga je gewoon naar de zee de ganse dag en heb je meer dan genoeg :). Lidt slidt lejlighed, men der manglede ikke noget. Beliggenhed perfekt. Hi Torben Horsens , Thanks ! !